Rakesh currently works as an Environmental Consultant, specializing in water environment and drainage, geology and air quality. He began his environmental career in 1992 by studying a BSc in Geology at the Banaras Hindu University, Varanasi, India. On completing this he went on to study a 3 year Masters of Technology in Applied Geology at the University of Roorkee, India (now the Indian Institute of Technology). After graduating in 1995 he began working at the Jacobs Engineering Group, as Environmentalist Scientist and later as Senior Environmentalist Scientist. During his five years there Rakesh undertook projects including Environmental Impact Assessments (EIAs) into proposed tourist infrastructure, hydro-power schemes and road development plans. In 2000 he began working at the COWI Group as Senior Environmental Consultant, where he continued to develop his EIA experience, working on an international level with projects based in Argentina, Bangladesh, India, Denmark, Ireland and the UK. In 2004 he moved to the Louis Berger Group (based in the U.S.A.) where he worked as Principal Environmentalist. Four years later he began working as an independent consultant, taking on contracts and freelance work for organizations such as the Halcrow Group in the UK. EIAs; Environmental Management Planning (EMP); Strategic Environmental Assessments and specialist reports for major schemes and transport infrastructure projects for various regulatory regimes within UK and internationally. Specialist of Design Manual for Roads and Bridges assessment and a Department for Transport appraisal for transportation schemes as a specialist of ‘Air Quality; Water Environment & Drainage; and Geology & Soil’. Expert witness in public enquiries for transport and land development projects. Technical adviser to governments, international financial institutions and multilateral funding agencies. 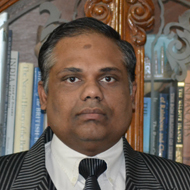 Throughout his career Rakesh has focused on the need for continuous professional growth and skill enhancement. Consultancy assignments across nations have enriched his understanding of environmental systems and their global dynamics. To work as an international environmental consultant it is necessary to be able to adapt to rapidly changing legislations, guidelines, technology and socio-economic concerns due to global warming and climate change. Rakesh say ‘I am doing exactly what I aspired to do from early years of my life’, with great job satisfaction found in assignments resulting in a sustainable development venture in an underdeveloped region; rejuvenation of degraded environmental systems; environmental enhancement as part of major developmental schemes to support a stressed environmental regime; and conservation of habitats. One project of particular interest was between 2004 and 2007 when he was working as lead environmental specialist for the ‘EIA and EMP for 9.8km Long Single Tube Road Tunnel for Two-way Road Traffic in Central Himalayas, for National Highway No.1A, Jammu & Kashmir, India’. This scheme for the world’s largest road tunnel was one of the most challenging projects for Rakesh due to its size, location, altitude, technology, and the environmental issues associated with it. As head of the environmental team of multidisciplinary specialists, he was responsible for providing environmental advice on design and construction of this major road tunnel to be constructed across central Himalayas. He prepared the EIA report, the EMP with detailed implementation schedule, the environmental budget for the proposed construction and was also involved in preparing a non-technical summary for the public consultation and acting as expert witness in the public enquiry. In the future Rakesh plans to continue working as an environmental consultant for the next 12 to 15 years, writing technical papers and books to share his professional experiences. He also intends to publish a series of “coffee-table” books on the environment, wildlife and sustainability. He would like to see professional institutions promoted further across the developing world and hopes to help expand the IES' membership in India.